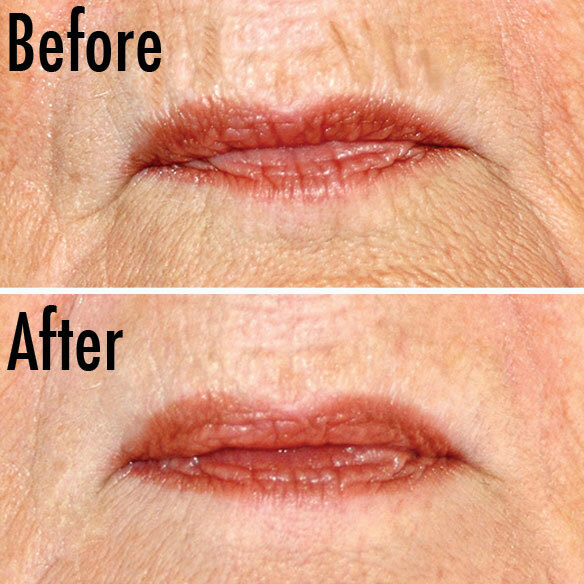 Dermelect™ Smooth Upper Lip Anti-Aging Treatment's advanced formula goes right to work, helping diminish vertical lip lines and frown lines around the mouth. Dermelect's soothing ingredients also help lighten discolorations and add essential moisture so thinning lips appear fuller. 0.5 fl. oz. Matrixyl™ 3000, Hyaluronic Filling Spheres, Arbutin, Retinol, GABA, Collagen. The product quickly made the upper lip area softer, but diligent use simply made no change. I'm very disappointed.